Now I’m rubbish at looking after my skin. I throw on some makeup in the morning and then wash what ever is left off with a baby wipe before I go to bed. For as long as I can remember I have felt self-conscious about my skin. At times i can have bad break outs and most of the time I have black heads . That’s not to mention the massive black bags I have under my eyes. 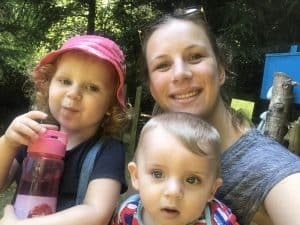 This isn’t all because of children I have had these dark circles for as long as I can remember. Recently I have been feeling a little down about my skin . 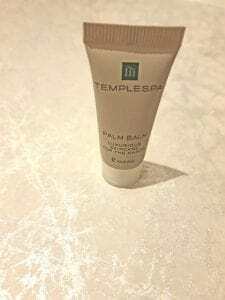 Thankfully the lovely Rachael sent me some Templespa products to try. 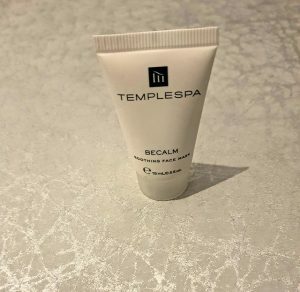 You may not of heard of Templespa before I know I hadn’t before Rachael introduced them to me a while ago. I know what your thinking I bet their another brand that says there products are amazing but in fact they aren’t worth the money. I can honestly say the products I have tried are so worth the money. They leave my skin feeling amazing and make me feel like me again. Now of course this isn’t a secret ingredient in the products . Its more the fact I feel better about myself and my skin therefore I’m happier. Plus I have introduced these products into my daily routine which means I know I will have at least 5 minutes me time a day. Which for any parent 5 minutes is amazing. 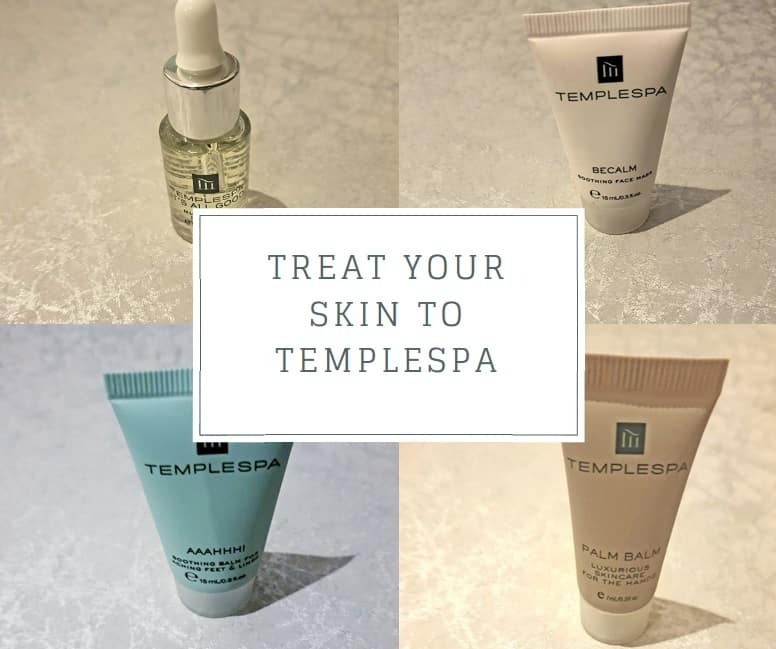 Templespa have lots of different products to choose from. From scrubs and face masks to makeup and candles. I have been sent 4 different products to try out so below I will show you what they are. How I have found them and also let you know how you can get your hands on them. Before having kids I liked to do a face mask fairly often. I love that feeling of washing it off your face and feeling soft silky skin underneath. Now the Becalm facemask tells your skin to be calm and happy. I can just imagine you all reading this and chuckling to yourself “yes bet it does !“. Now I’m not saying it will completely de stress you but it does leave your skin feeling refreshed. When you first put it on you can feel your skin tingle slightly and then a cool soothing sensations goes across your skin. In 10-20 minutes the mask will harden and you can wash it off with a warm damp flannel. leaving fresh soft skin underneath. The BECALM face mask contains basil,liquorice,aubergine,calmaderm,camomile, lavender and vitamins. Now I don’t know about you but after a long day my legs and feet kill. I remember in my later stages of pregnancy it would keep me wake I so wish I had some of this then. unlike a lot of foot creams I have used in the past this is a light weight cream that soaks in in seconds.So it can be put on quickly and your ready to carry on with the rest of your day. The AAAHHH soothing balm contains dandelion, peppermint, lavender, clary and black pepper. This cold weather hasn’t been good to my hands. They are chapped and dry and have been causing me a lot of pain. I think constantly washing baby bottles hasn’t helped either. So this is the product I was most looking forward to trying. I have used many different hand creams in the past. I have found they give the initial relief you needed but soon enough your hands are dry and sore again. The PALM BALM left my hands feeling amazing for ages plus you only need a tiny amount so it will last for ages. I have noticed since using the PALM BALM everyday my hands are so much softer and are not sore at all ! The PALM BALM contains aloe vera, essential oils and vitamin E.
Now this product intrigued me the most. I have never used skin oil before . I thought because I had oily skin that it wouldn’t be for me I thought it would make my skin worse. Also I have seen a lot of people recently saying they have been using skin oil so I thought I would give it a try. I have been using the IT’S ALL GOOD skin oil for a few weeks now and my skin is defiantly feeling a lot firmer healthy for it. All you need is a small drop on your finger of the oil then massage it in circular motions on your skin. One drop should be enough to do your whole face so this product will last for ages and you don’t need cotton wool or anything to massage it into the skin. The IT’S ALL GOOD nutritious skin oil contains Collageneer, Defensil, peach, olive and watermelon. Like the sound of any of the Templespa products above or want to see what else they have to offer. 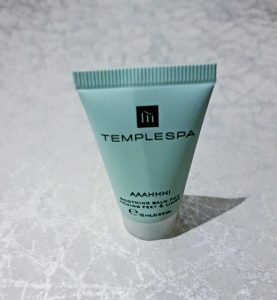 The visit Rachael’s Templespa page. Or you can pop Rachael an email at rachael_flavell@yahoo.com where I’m sure she would be more than happy to refer you to products that would be best for you and your skin.